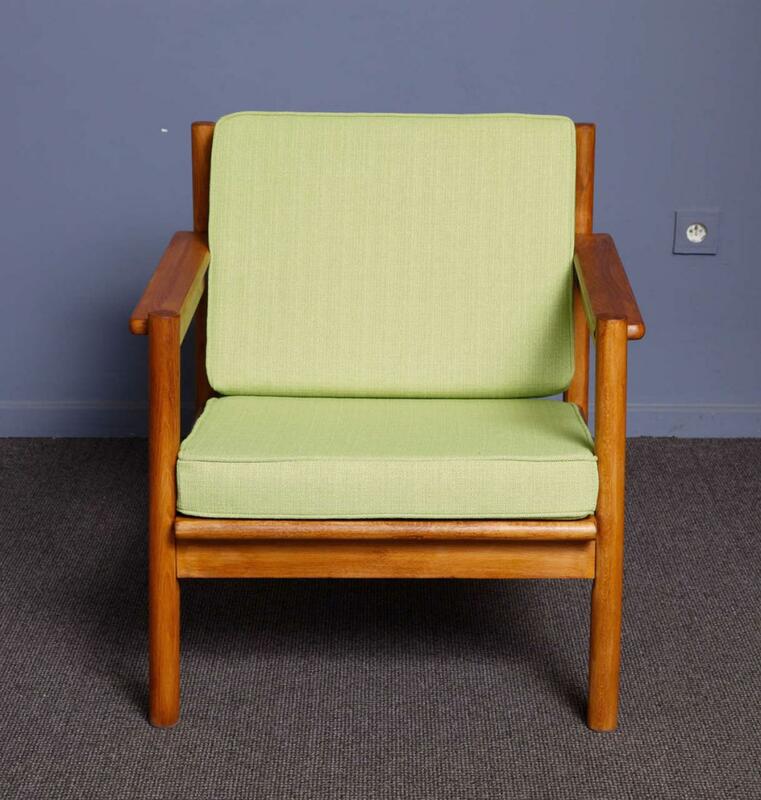 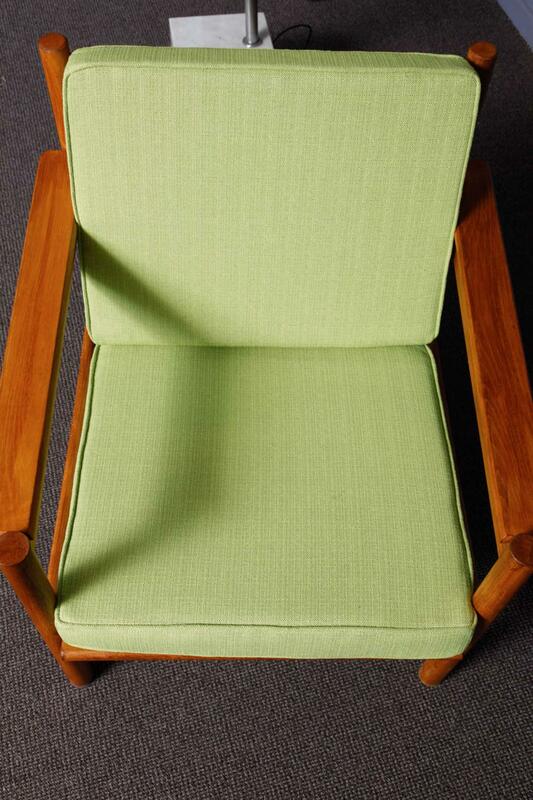 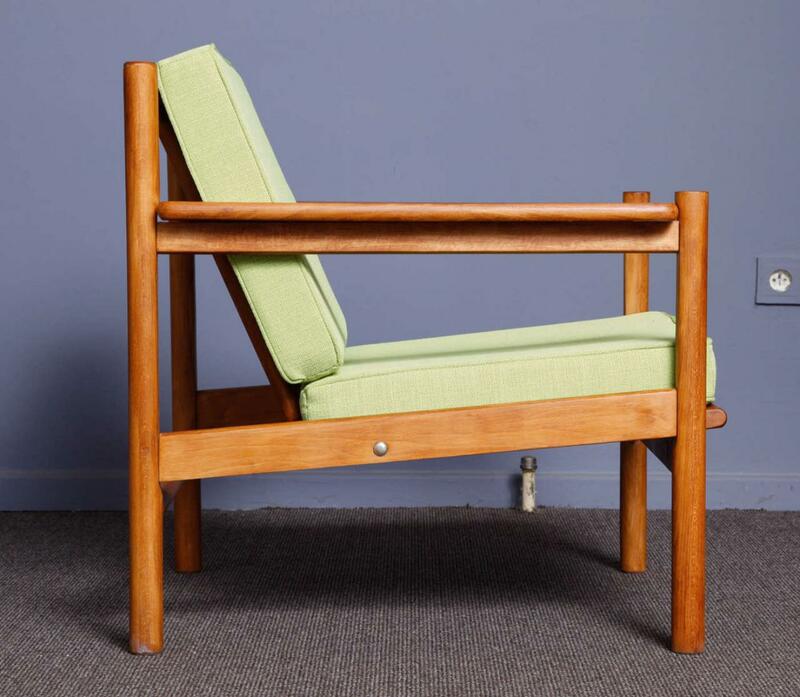 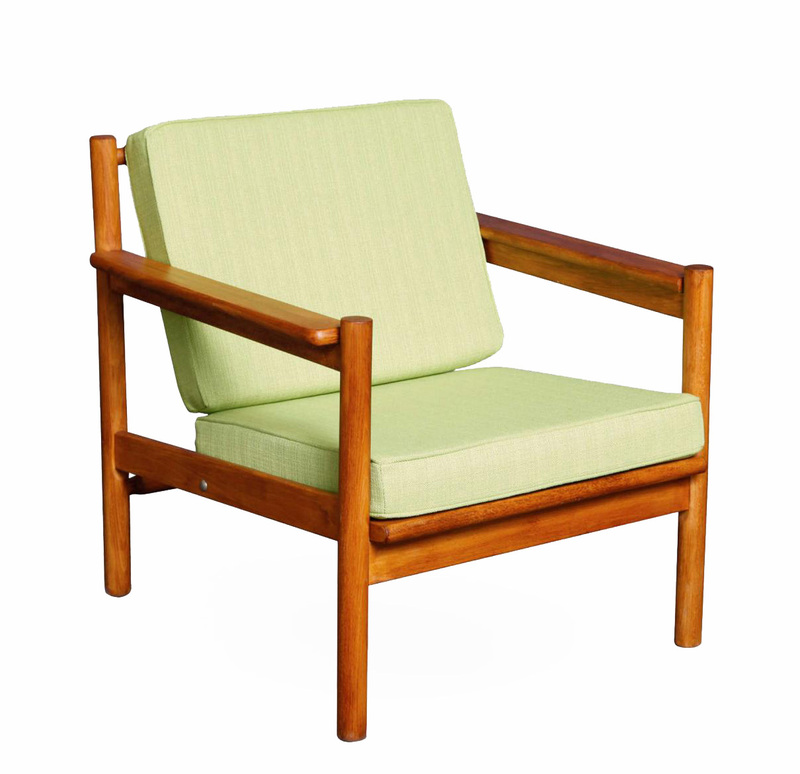 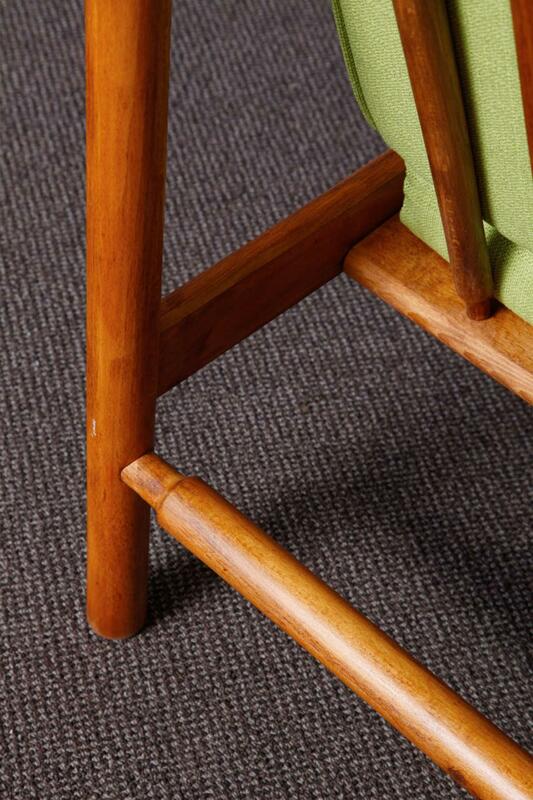 Scandinavian origin Teak wood armchair . 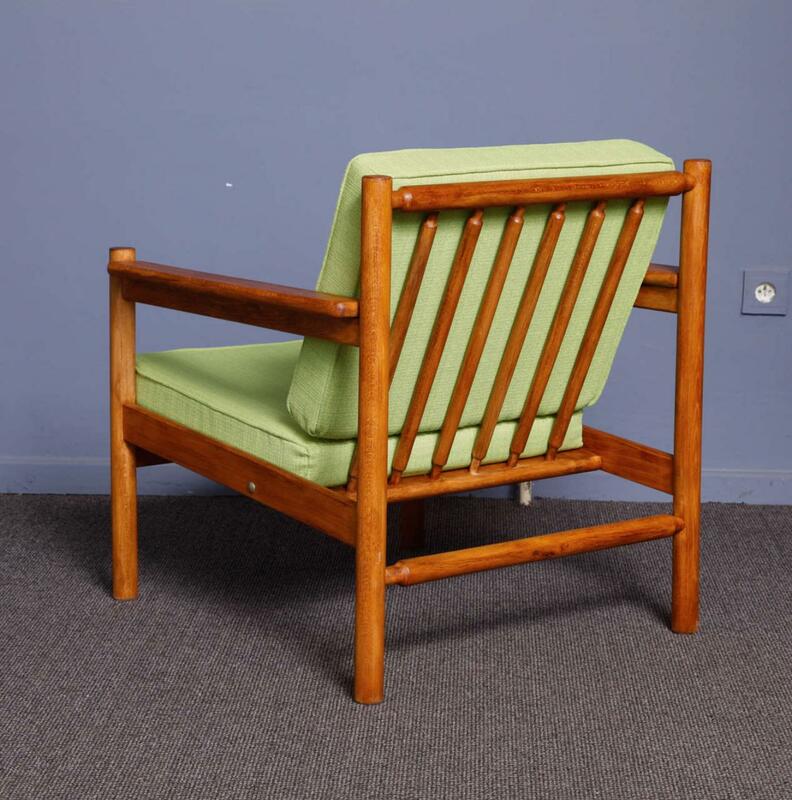 Very comfortable ,a model easy to place in a living room or even a bedroom. 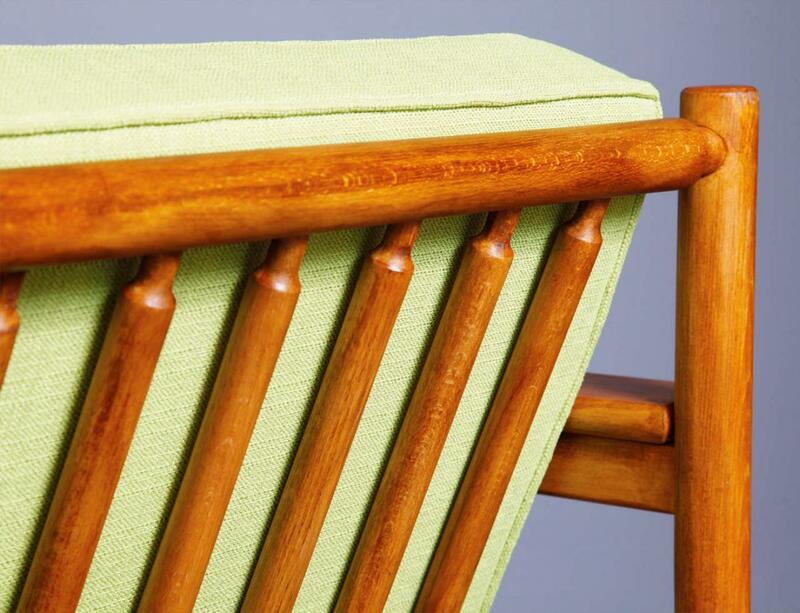 The wooden part was recently re polished and the upholstery is new. 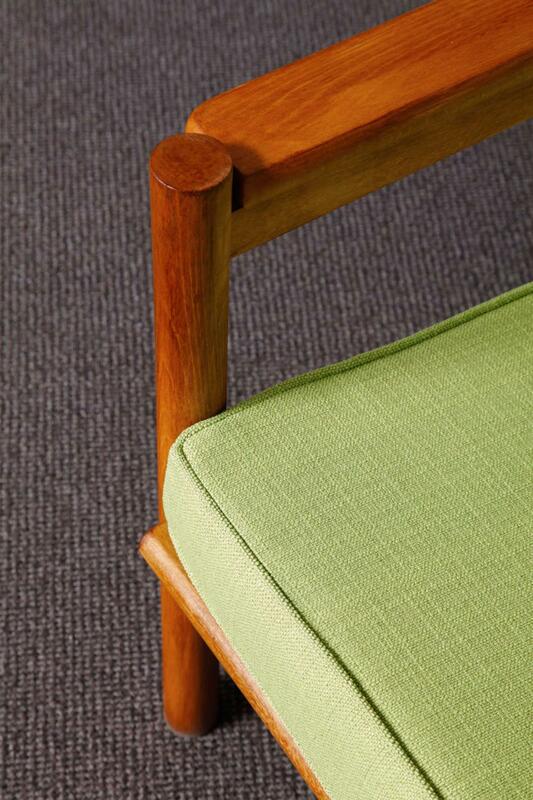 Very elegant green coloured fabric.